Luxury and style is the first thing that the buyers expect from their car. 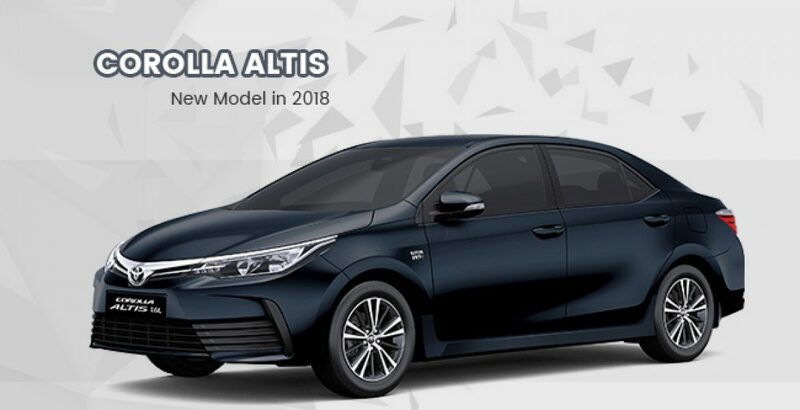 For an affordable Toyota Altis 2018 price in Pakistan, the all-new Corolla promises extraordinary style, luxury and performance. It is a bit junior to the grand Toyota Grande, measuring around 200cc less in the engine displacement. But it does not make a big difference. As a compensation for this minor compromise in power, you can easily save around four lac rupees. And this does make a big difference. Doesn’t it? 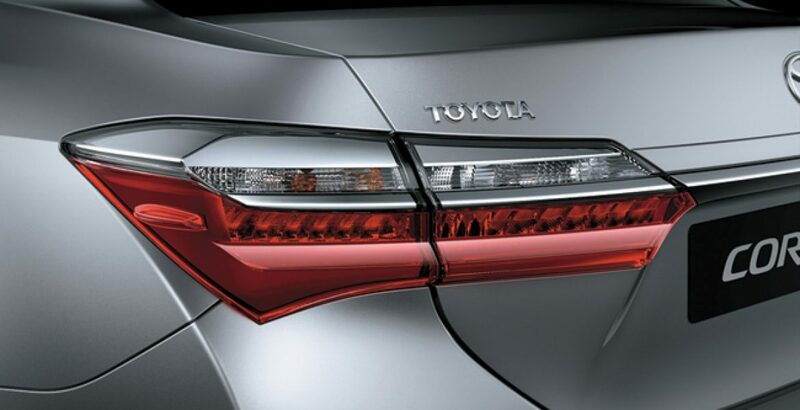 The all-new Toyota Corolla Altis is an epitome of style and grandeur from inside out. Just have a look at the bold aerodynamic body which emanates extreme level of sophistication to satisfy the aesthetic pleasure of the onlookers. 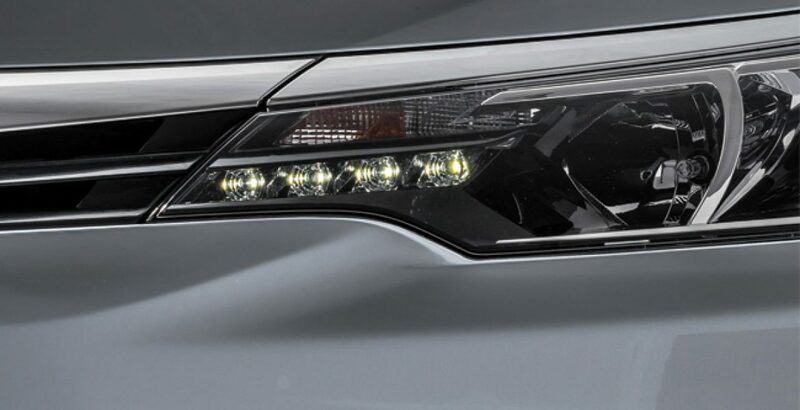 On the front, you come across the high-quality halogen headlamps accompanied by LED clearance lamps. This accomplishment is to provide daylike visibility on the road ahead even in the pitch-dark environments. The refined side skirts, mud flaps and 16” alloy rims also contribute to beautify the exterior of the car and make it look ever more decent. To facilitate safe parking, you have a powerful camera fitted to the rear of the car. 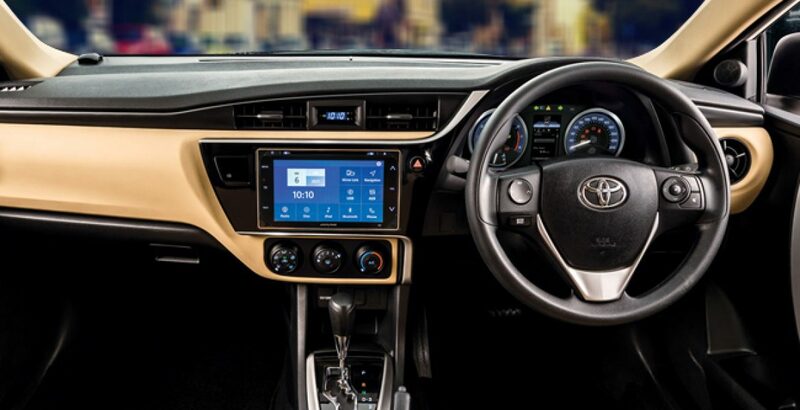 The interior of the Altis is optimized for extremely comfortable and truly luxurious travelling experience. The flaxen interior design not only exudes decency but also has a set of advanced features to make driving and control easier, accessible and efficient. The new Optitron Meter Display offers a 4.2” TFT Color Multi-Information Display to provide details about the vehicle performance with pleasant visuals. With the technologically powered three-spoke steering wheel, you can not only drive the car with added convenience but also enjoy one-touch control over the multimedia. The switches for audio and multi-information display are integrated on the steering wheel. 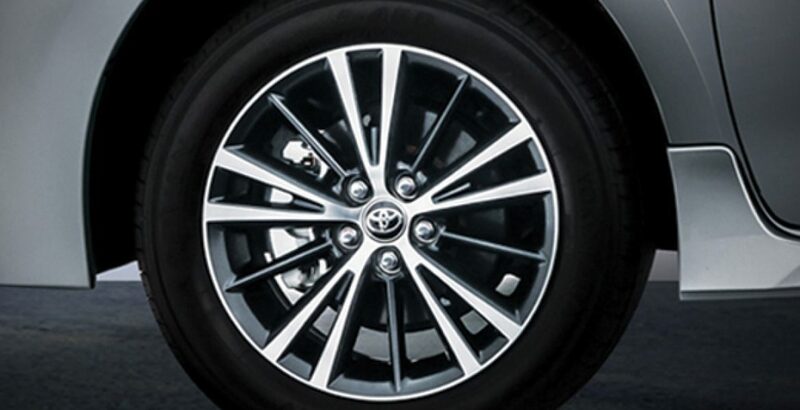 The Super ECT technology powers the 4-speed AT transmission system of the new Toyota Altis 2018. In this technology, the electrically operated solenoids intelligently control the shifting of all the forward gears to give extraordinarily smooth and stable driving experience. Whatever large and capacious powerhouse it may be provided with, a smartphone with large screen and ultra HD visuals consumes battery so quickly as compared with that of the ordinary handsets. So, if you have to go on a long journey and also have to make an active use of your smartphone, a single recharge won’t probably be sufficient. And Altis gives you the facility for the recharging of the phone while on the way. Inside the car, on the dashboard, you will find a front USB and an auxiliary port offering USB recharging. 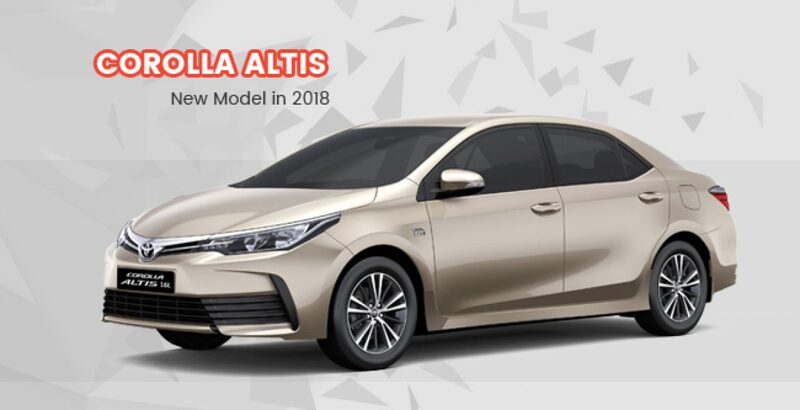 The latest Toyota Corolla Altis 2018 model brings a built-in in-dash entertainment system with a beautiful display measuring as large as 7”. It also includes an option of CD for enjoying media. There are touch-based controls for volume, navigation, USB, Bluetooth, disc and radio, etc. For remote control based safety of the Altis, you have a Wireless Key with immobilizer. It also supports the functionalities of trunk opening and panic alarms. You can use the Panic Button to summon for help in case of emergency. 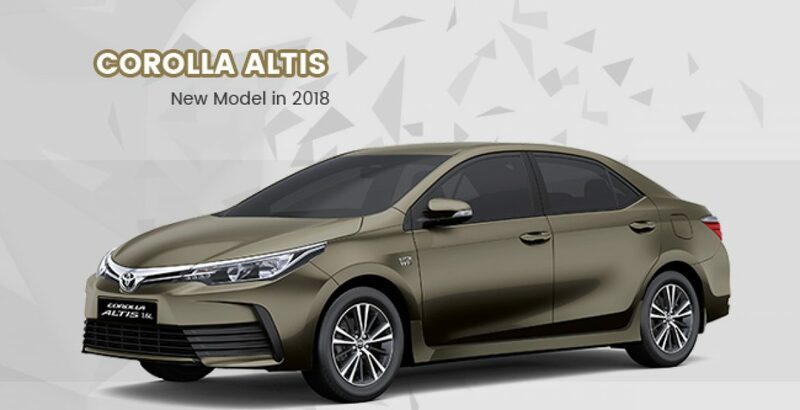 Besides attracting the buyers for the Toyota Altis price in Pakistan, the new Corolla car also wins the hearts of the varied public for its eight inspiring body colors. The body color variants include Super White, Attic Black, Silver Metallic, Grey Graphite, Strong Blue, Bronze Mica, Phantom Brown and Dorado Gold. Each color exudes extraordinary finesse and decency to offer a hearty feast to the eyes of the onlookers.